The Department of Home Affairs' (DHA's) automated biometric identification system (ABIS) is part of the ministry's move towards a digital national identity system. This was the word from minister Malusi Gigaba, during a presentation of the DHA's budget vote in Parliament yesterday. The home affairs ministry, whose core function is to manage identity, civil status and migration of citizens, has over the years made clear its intention to introduce digital services to better serve citizens. The introduction of this new digital identification system, according to Gigaba, is part of these modernisation plans. The ABIS system, launched in Cape Town yesterday, is set to replace the Home Affairs National Identity System (Hanis). And unlike Hanis, which is manually operated and outdated, ABIS has been designed to run as a critical service without interruptions, noted the minister. 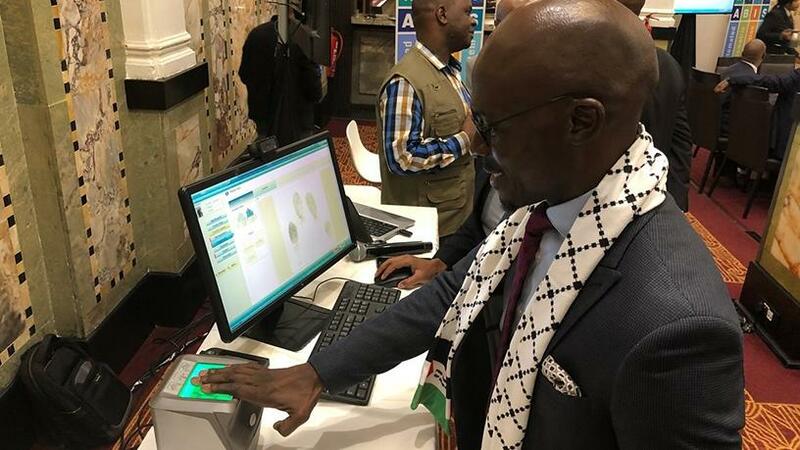 Gigaba added that ABIS will provide additional biometric modalities, such as iris scan, palm prints, facial recognition and infant footprints; over and above what Hanis used to provide. The department partnered with the Council for Scientific and Industrial Research to develop specifications for a new biometric database. It also worked with the State IT Agency (SITA) to procure ABIS, and EOH was contracted to deliver the project, he explained. "This modern IT system will integrate with other relevant systems, inside and outside home affairs, to allow for one holistic view of the status of clients. It will serve as a single source for biometric authentication of citizens and non-citizens across state institutions and private sector entities." The ABIS project will be rolled out in phases, over a five-year period, he noted. The introduction of smart identity documents (IDs) to replace green-barcoded booklets has become a critical part of the department's modernisation plans. The first smart card was issued in 2013 as part of the process to replace 38 million green-barcoded IDs. To date, the DHA has issued 10 million smart cards. 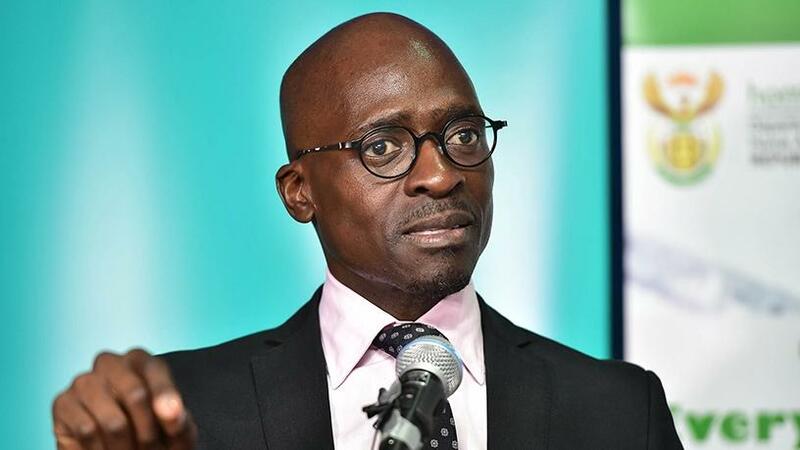 According to Gigaba, over the past decade, the department's goal was to invest in a relatively low-cost digital service for all citizens. "I am pleased to announce we have now issued 10 million smart cards. This is in spite of challenges in infrastructure, systems and staffing." The minister noted that of the department's 411 front offices, 184 are on live capture, which processes applications for smart cards and passports. He said 227 offices are yet to be modernised. To fast-track the rollout of smart ID cards, the DHA has partnered with four major banks (Absa, First National Bank, Nedbank and Standard Bank) to replace the green barcoded ID booklets. In January, DHA director-general Mkuseli Apleni said discussions between the department and National Treasury to establish a public-private partnership, which will see more bank branches issue smart IDs and passports, were at an advanced stage. Yesterday, Gigaba reiterated that discussions are apace to finalise the partnership with the banks. "I encourage more citizens, banking with Absa, FNB, Nedbank and Standard Bank, to apply online." It has become common knowledge that home affairs offices always face system interruptions and network downtime issues. To address this, the minister said, the department will sign a tripartite agreement with SITA and Dimension Data to have uninterrupted network connectivity. Gigaba said this move will contribute to the reduction of network downtime and ensure services are seamless. This push, he said, will also cut down waiting times. "To increase capacity, thereby broadening access, we are refurbishing 78 [departmental] mobile units. The units will be equipped with live capture functionality for the issuance of smart cards and passports, targeting mainly the elderly and first time applicants," he said. Meanwhile, one of several initiatives that form part of the DHA's broader vision is the digitisation project of 900 million records at the department's back offices, the minister said. "Phased-in digitisation of birth records, in partnership with Statistics SA, is gaining momentum. We've implemented an automated booking system at Desmond Tutu Refugee Centre to better manage the flow of newcomers." Last year, former DHA minister Hlengiwe Mkhize said the department would step up the digitisation of records using the earmarked R10 million per annum received from National Treasury.